Jennifer joined Ross & Liddell’s Commercial Department in January, 2007. She studied with the College of Estate Management and obtained a BSc (Hons) in Estate Management in 2014. 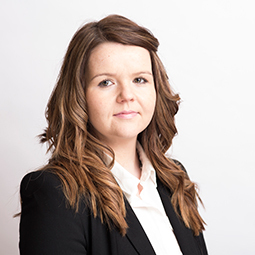 Subsequently, whilst working towards completing the Royal Institution of Chartered Surveyors’ (RICS) Assessment of Professional Competence (APC), Jennifer gained extensive experience in all property sectors and she successfully completed the APC, obtaining Chartered status in June, 2017. Jennifer currently manages a wide range of properties, including single-ownership, multi let, mixed use buildings and City Centre Co-Proprietor buildings.